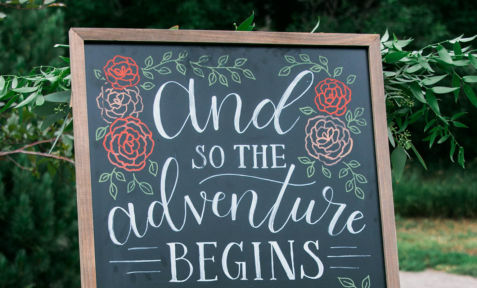 This year we expanded upon our stationery designs to offer hand lettered wedding signage as well! 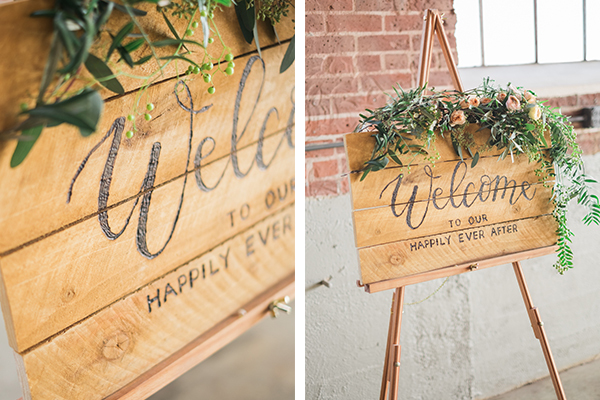 These signage pieces are the perfect way to carry your vision throughout your big day with similar styling and custom design elements. 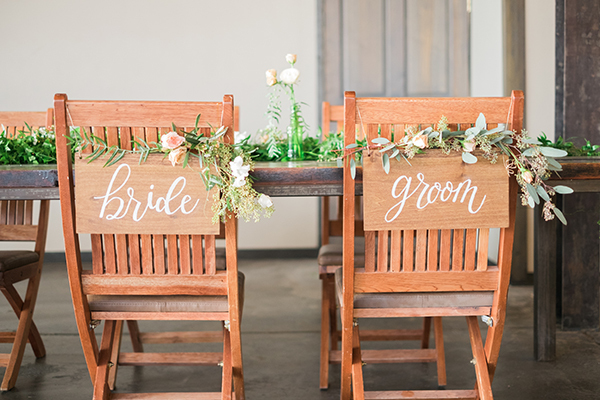 – Chair Signs: Brides, Grooms, Mr, Mrs, etc. 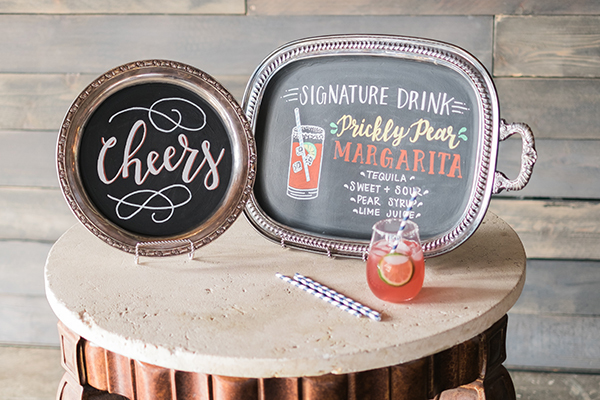 All of the pieces in these photos are available to rent and have hand lettered. 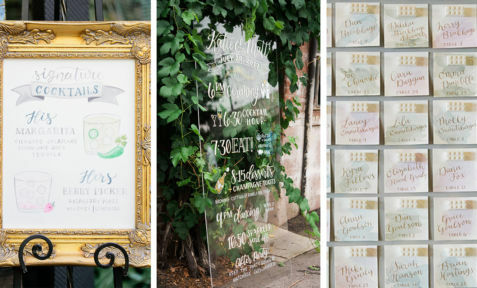 The frames can be customized with different inserts – clear acrylic (instead of more fragile glass), chalkboard, or stained wood. 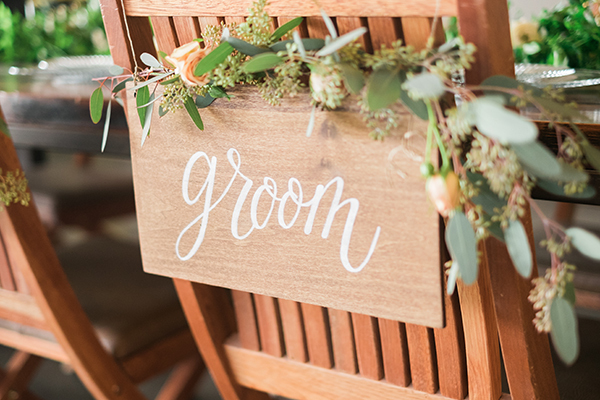 All rentals include delivery and set up in the greater Denver area. 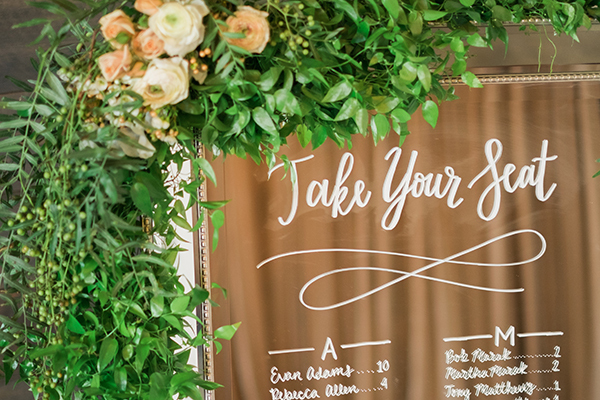 Clients also have the option to provide pieces for me to write/draw on or we can even utilize pieces at your venue (with their permission of course) – like the seating chart on the doors of Blanc like Katy & Zach’s wedding! 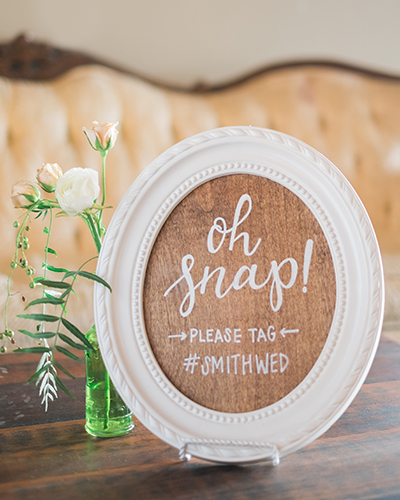 The signs are custom designed and hand made however necessary – chalk hand-lettering on chalkboard, calligraphy ink or paint on mirrors and acrylic, hot branding by hand on wood, and we can even paint or stain the background of our pieces to your specifications. 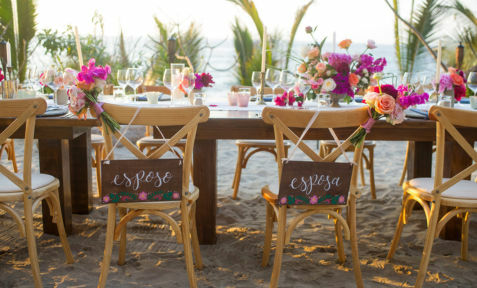 I would love the opportunity to also do lettered paper table runners, more decorative globes, or paper placemats! 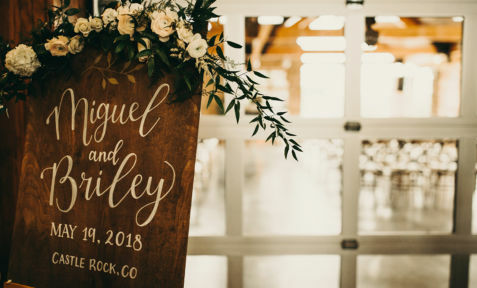 Have another unique idea for signage? 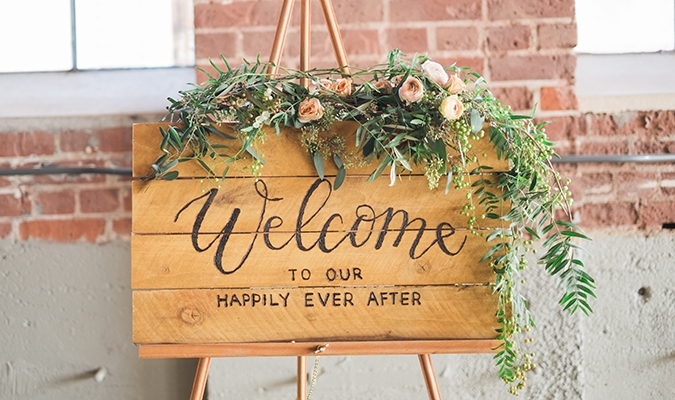 We’d love to hear about it! 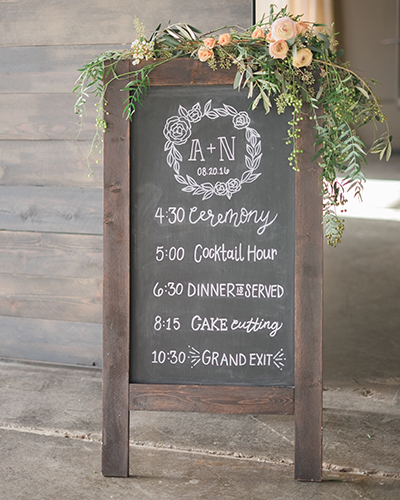 Contact us today to learn more about these services and our Denver signage rental pricing! 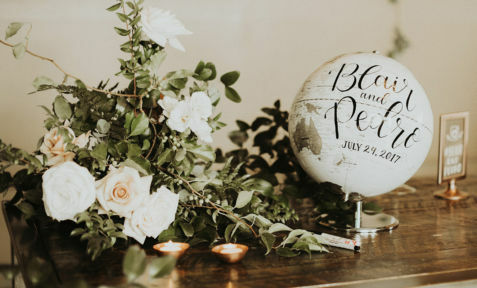 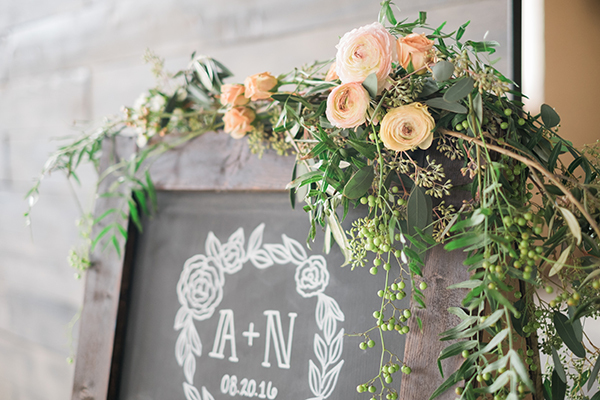 Thanks to Tara Bielecki Photography for all of the gorgeous photos above, Orchid Princess Floral for all of the lovely garlands and accents, and Moss Denver for letting me use their venue to photograph these example pieces. 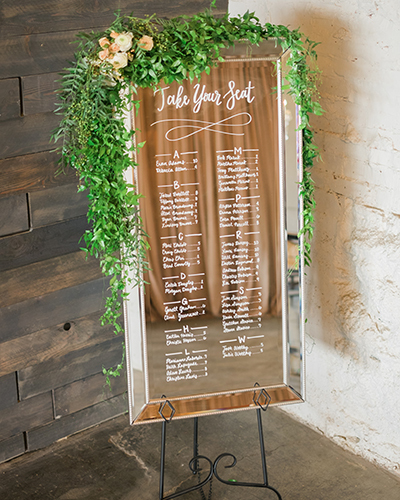 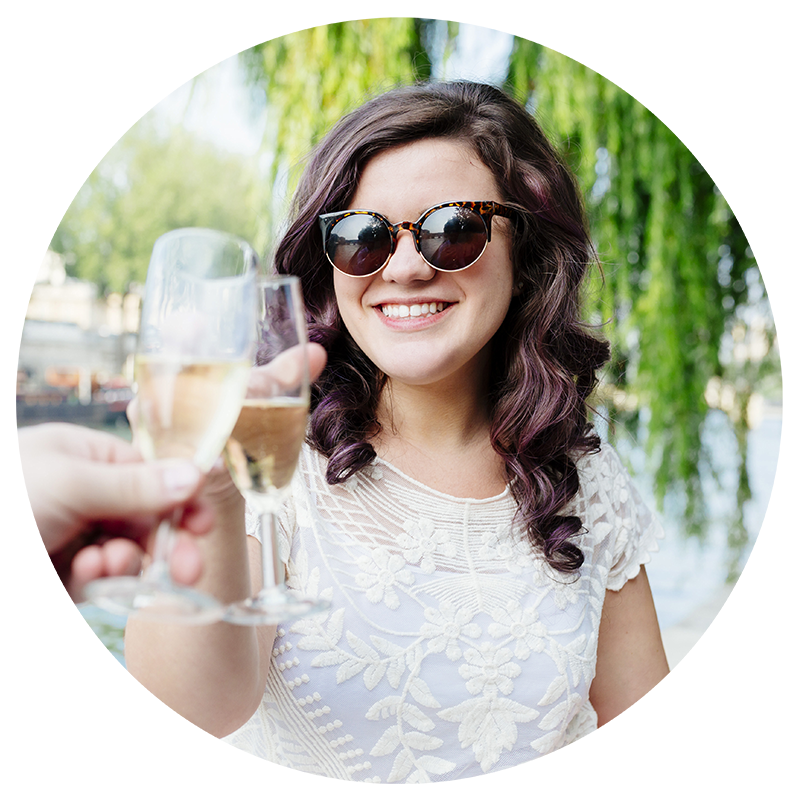 Hi – I love that mirror seating chart that you highlighted on your site and was wondering if you could do that for a wedding in L.A. on July 22nd. 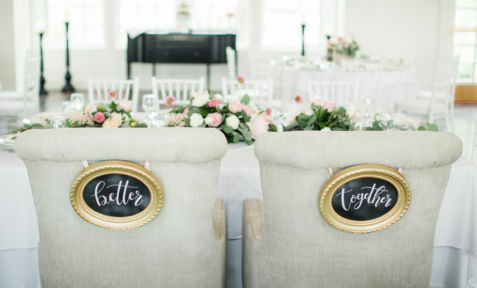 If so, how much would you charge!